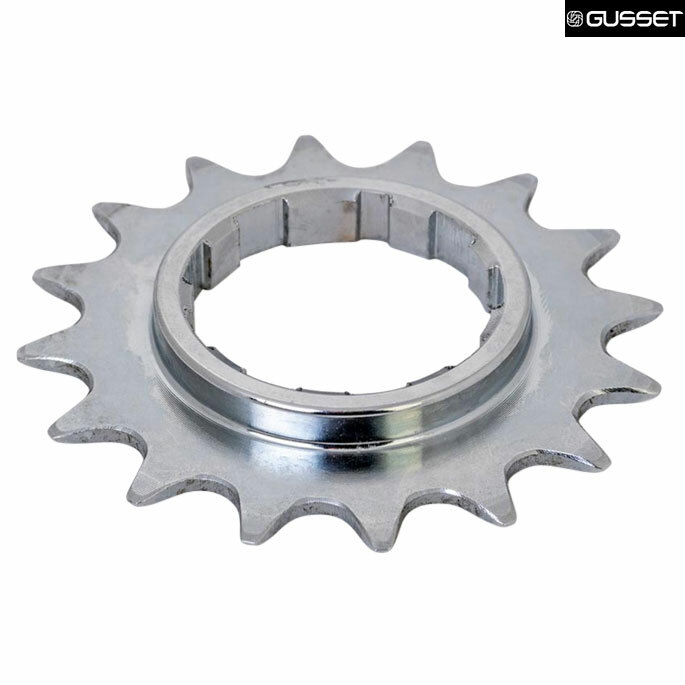 Home > Transmission > Sprockets > Sprockets - Fixed 3/32"
Gusset Double Six - compatible with 7-Speed HG? Going for single speed on by (very) old 7-speed MTB. It had a 12-28 HG cassette on it.. The description talks of 3/32 chain, but is the cassette long enough to take the spacers? Just found an old Claud Butler Mistral that I could from you at the age of 16... you were on the other side of the road then! You should be able to do this without an issue, however we have never done this so we cannot say for certain. Can I use the gusset slink 3/32 chain with this? As this is designed to be used with a 3/32 chain you could do this without an issue. Hello,instead of the 3/32" that I ordered, you sent me a 5/64"... can a 3/32" chain be used with this cog....? Thanks for pointing it out. In fact this sprocket is for 9 speed chains so our description is wrong, should say 1/2"x5/64" (9Sp) I'll get it changed. Are These Sprockets Compatable With An 11Spd Chain? Thanks. These sprockets are not compatible with an 11spd chain i'm afraid, they're designed for use with a 3/32" chain which is the same gauge as a lot of single speed chains and 8spd chains. These sprockets are designed to fit to Shimano free-hubs and are not the same as in the kit. We are able to special order the same Campagnolo sprockets used in the kit in 16T or 17T if you wish. For more information on ordering these; price/lead time etc. please contact ed@sjscycles.com.